Obamacare’s Medicaid Expansion plan is more likely to hurt Nebraska than help it. A ballot initiative to expand Medicaid under Obamacare for able-bodied, working-age adults threatens Nebraskans with more taxes, cuts to essential government services and more big government that prioritizes this new Medicaid population over our state’s most vulnerable citizens. Under Obamacare’s Medicaid expansion, the expansion population gets prioritized since they are reimbursed at a higher percentage than Medicaid’s intended populations: our young, elderly, and disabled. 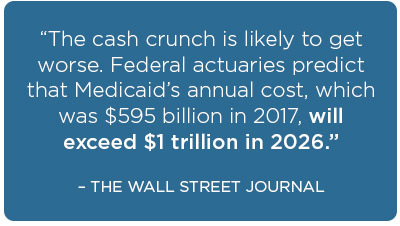 Why should we expand this program and allow our most vulnerable to be pushed aside? Should we double down on a government program that takes power away from patients and their doctors? 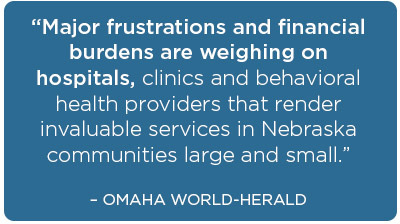 There are better ways to give Nebraskans the health care they deserve at a cost we can all afford. 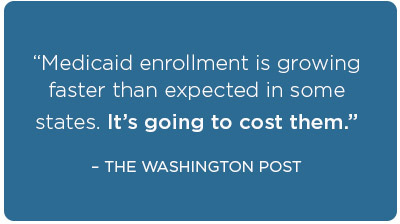 DID YOU KNOW MEDICAID EXPANSION UNDER OBAMACARE PUTS UTAHNS AT RISK? Expanding Medicaid is not what our state needs. WANT TO HELP STOP OBAMACARE?